Business schools have made a concerted effort to boost the ranks of women in their MBA courses through lavish scholarships and outreach. But women remain a minority at elite b-schools. According to Forté Foundation, a consortium of business schools and companies that aim to improve women’s participation in education, the average proportion of women in its member schools such as London Business School is 37%. That is up from 33% five years ago, but far below parity. The cost of an MBA—over $100,000 in some instances plus the opportunity cost of not earning a salary—has deterred women from pursuing the degree, says Andrew Crisp, a consultancy founder who has published research into women’s attitudes to business education. According to GMAC’s What Women Want report, women are paid less than men before an MBA, the pay gap is 18% at graduation, and gets bigger as women move into senior positions. So, women need to be sure that their MBA investment will pay off. With this in mind, the Financial Times has for the first time ranked business schools based on their outcomes for women. The new FT ranking considers which MBA courses will help women overcome future pay discrimination, which schools are best at teaching and developing female graduates, and promoting them to employers. 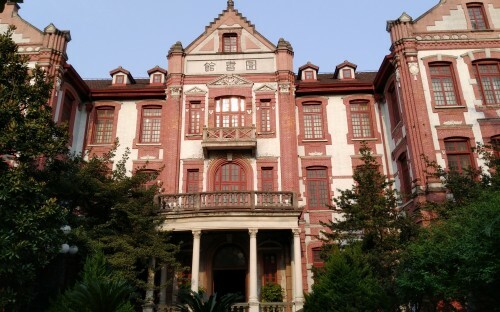 Most of the best MBAs for women are in China, such as Shanghai Jiao Tong University which is top overall. Stanford Graduate School of Business and the University of California’s Haas business school are second and third respectively.